Our high quality Jangro products are organised for easy viewing in the categories below. 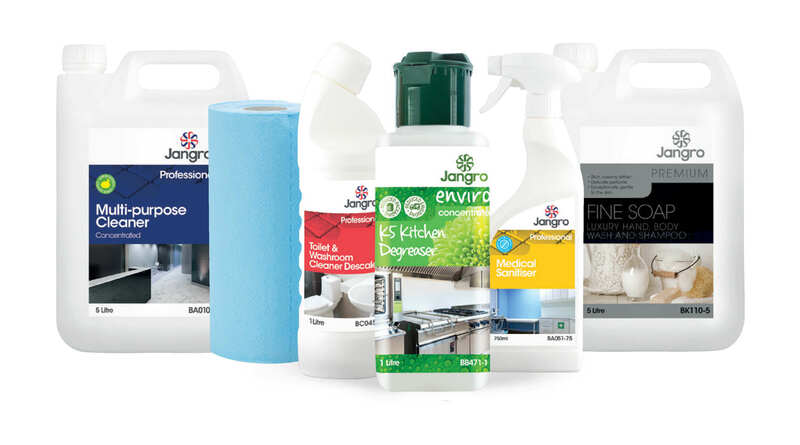 This wide range of cleaning products makes Jangro the number one provider of cleaning supplies to the UK and Ireland. Jangro cleaning products are known for their reliability and great value. Whether you need to clean floors or washrooms, windows or kitchens, we have all the equipment you need to keep your facility hygienically clean. We’ve even organised our janitorial products into business sectors, making it easier for you to find what you need based on your industry! Please contact our team on 01204 795 955 for assistance.